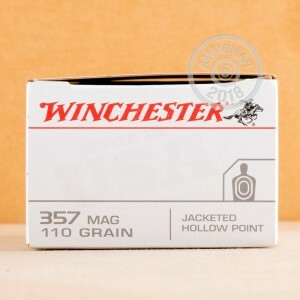 This Winchester "white box" ammunition is inexpensive yet effective in a variety of situations including target shooting and self-defense. 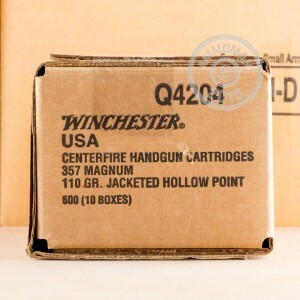 Each round in this box of 50 fires a light 110 grain jacketed hollow point bullet at a high muzzle velocity of 1,295 feet per second. 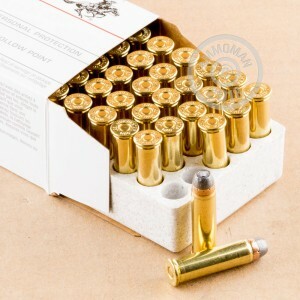 This high velocity improves the projectile's expansion potential, while the light bullet weight protects against over-penetration and keeps recoil to a manageable level.